AdDuplex has just reached 1,500 active apps on the network and we are the largest cross-promotion network on Windows Phone. We are also one of the widest WP ad networks overall and the most cost-effective way to reach the widest audience of Windows Phone users. So we decided to offer you a way to go really BIG and really cheap. That’s right. 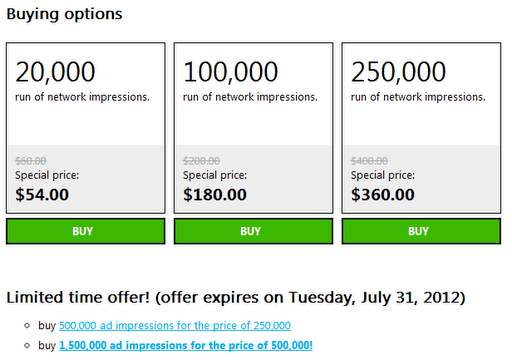 For a very limited time you can buy 1,500,000 ad impressions on AdDuplex for the price of 500,000. If that sounds too much you can get 500,000 impressions for the price of 250,000 too. 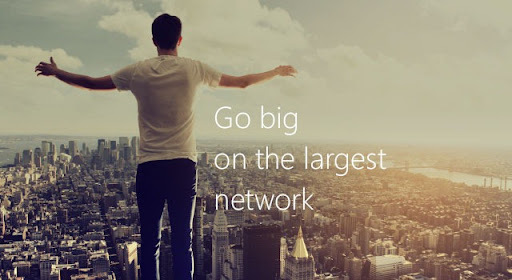 The offer is valid until the end of July 2012 only, so don’t miss your chance to go BIG on the widest network. Update: due to a popular demand we are extending this offer until the end of August, 2012.